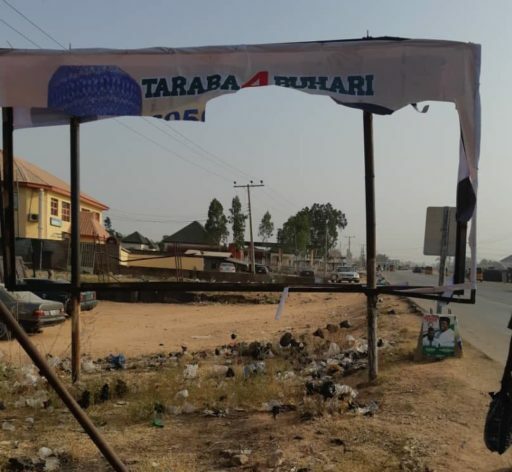 Some unidentified thugs have reportedly destroyed President Buhari's campaign posters in Taraba ahead of his visit. 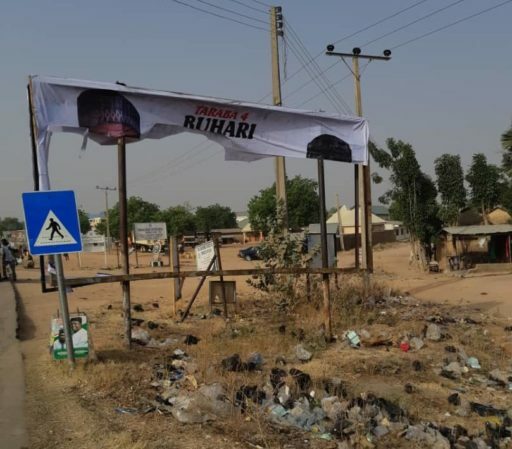 Ahead of President Buhari’s campaign visit to Jalingo, the capital of Taraba State, Thursday, there have been reports of the destruction of campaign billboards of the President and his party, the All Progressives Congress, by persons suspected to be thugs from the opposition, Vanguard reports. An APC source speaking on the destruction said: “While President Buhari is preaching peace and making it clear that all Nigerians should be allowed to vote candidates of their choice, the PDP is getting more and more desperate and thinking of the elections as a do-or-die affair,” the source said. President Buhari is expected to take his campaign message to Adamawa and Taraba States today, after Benue and Nasarawa yesterday.